The Children’s Place is Canada’s leading kids clothes and baby clothes store. With fresh fashions, quality materials and fun designs, it’s the affordable kids clothing brand that you can trust. The Children’s Place range of children’s clothes is designed to be comfy, durable and stylish. For playtime, our range of kids tops, bottoms, dresses, pants and shorts are quality made and make it easy to dress your child in fun outfits. For your very little ones, we have you covered too – our wide range of baby clothing will give you a choice of looks for your newborn boy or girl. Order your bulk Childrens Place gift cards from NGC Canada today! 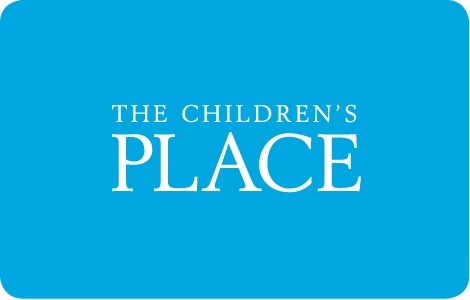 Gift cards can be used for purchases of merchandise at any THE CHILDREN'S PLACE store or outlet, or online at thechildrensplace.ca. Redeemable in Canada only. Not redeemable for cash unless required by law and cannot be replaced if lost, stolen or used without your permission. Return of merchandise purchased with this card is subject to store return policy.